The latest trends at bars are these ice sculpture shot taking things, but now you can bring the fun of an "ice luge" to your own home. 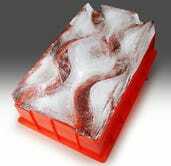 The Party Shot Luge is a mold that can be filled with water and frozen. 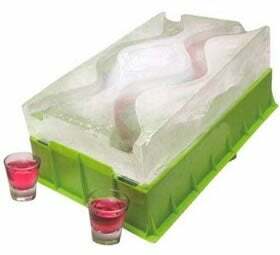 Pop the luge out and begin pouring liquor down the luge into a mouth or shot glass. Oh man, I love being a college student. Screw growing up.